Ludhiana, October 05, 2018 (Team Online News India): Sat Paul Mittal School, a leading school in North India, today announced that it has been ranked as the best school in Punjab and positioned among India’s top 75 schools in the EducationWorld India School Rankings (2018-19). EducationWorld, a human development magazine, has been ranking educational institutions for the past 11 years. Established in the year 2004, Sat Paul Mittal School has over the years evolved into an institution known for great learning experience and academic excellence. Sat Paul Mittal School was shortlisted from 1000 schools across the country for the national ranking. The recognition is a testimony of the School’s efforts to provide quality learning experience for students. 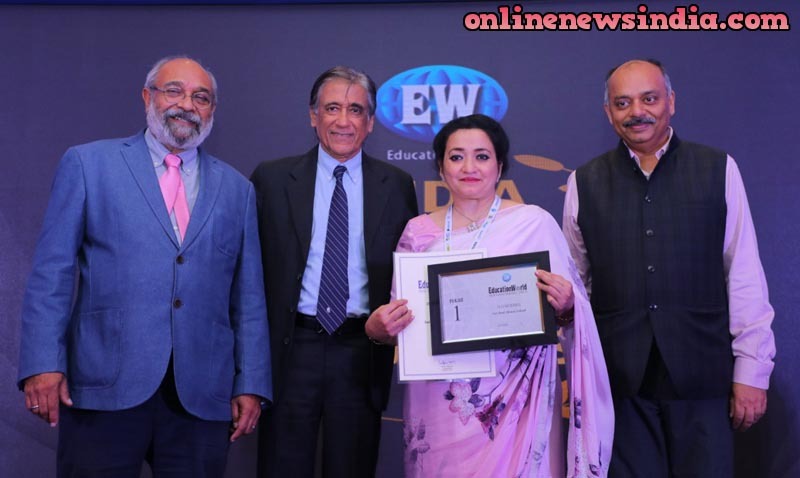 Sat Paul Mittal School was ranked 3rd in ‘Innovations and Resources’ category and secured 8th position under the ‘Academic Proficiency and Teacher Expertise’ category - two segments are part of the ELITE (Emerging Leaders in Innovation, Technology & Education) rankings, which is a new category introduced in the EducationWorld India School Rankings for 2018-19. The ELITE Rankings survey had been designed by a team of researchers with affiliations to Harvard University, Stanford University and Edfinity, a National Science Foundation-funded organization, headquartered in Palo Alto, California. The ELITE Ranking process was managed by Edfinity.